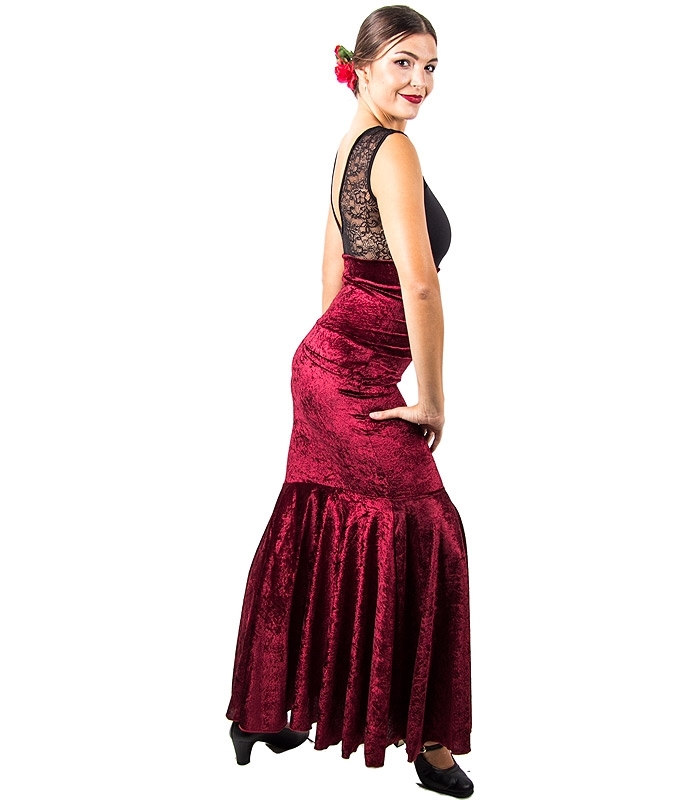 New colours Velvet flamenco skirt with high waist and oblique. 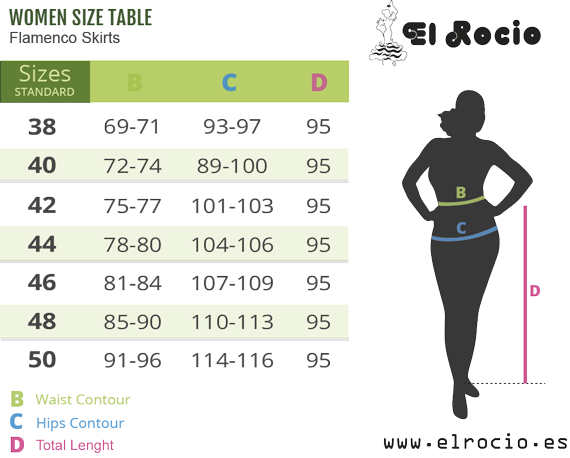 This is a pretty model perfectly slim-fitted up to the knee to stylize woman's figure and it has a double high-waist tightly-fitted to the hips but you can wear it as a normal waist too, as you prefer. It has on big layer on the skirt to make it more floaty for dance. You can find these skirts in red bordeaux and green. 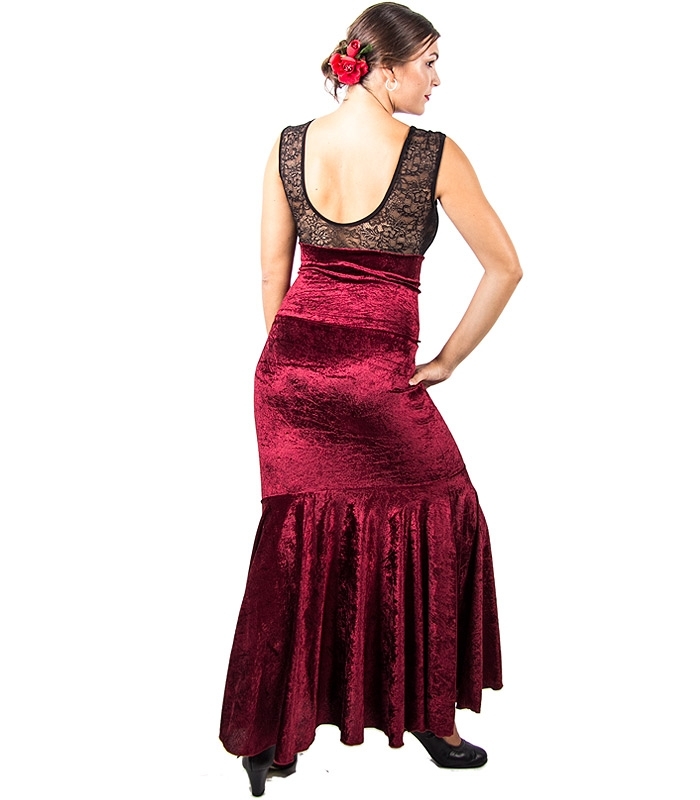 These flamenco outfits of Happy Dance are made of velvet, which makes it a very soft fabric and ideal to get excelent movements. Made in Spain. 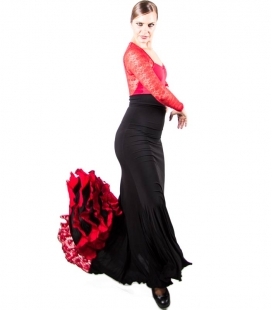 Our shop, El Rocío, has a fashion line of spanish skirts for woman dancer and flamenco dancing clothes of the brand Happy Dance which has a very wide catalogue of flamenco dancing skirts belonging to exclusive and elegant designs. 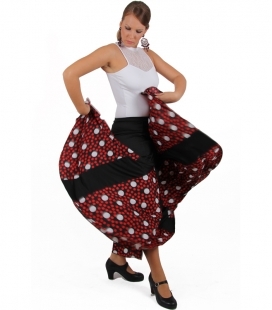 Its main fabrics are polyester or silk stitch which make these skirts very light and comfortable for dancing. 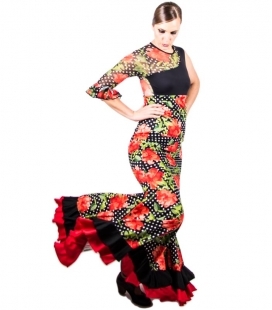 These clothes for flamenco dancing are specially designed for semi-professional and professional dancers to wear them in flamenco dancing schools or at shows in stages. 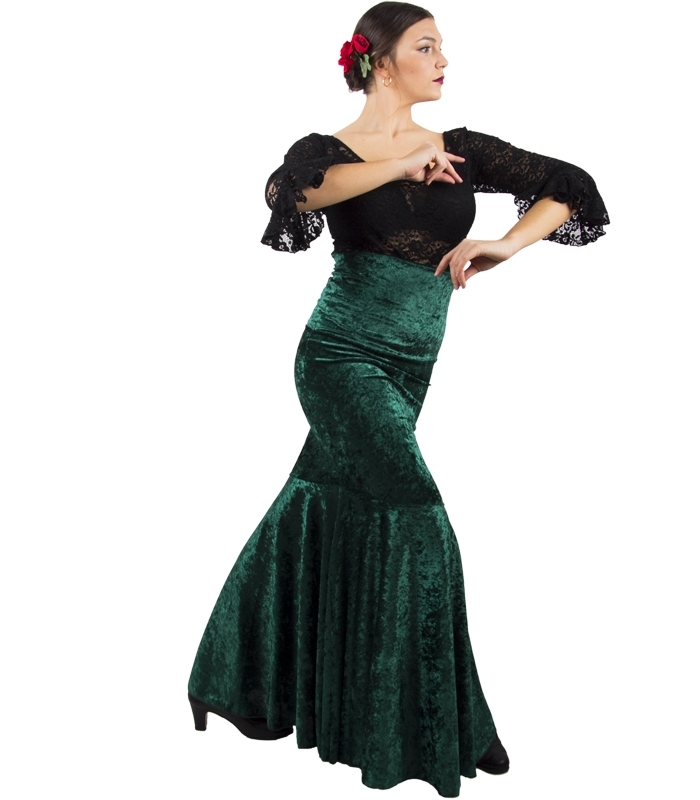 These flamenco skirts are totally made in Spain because of the quality of its materials and fabrics and its incomparable prices. 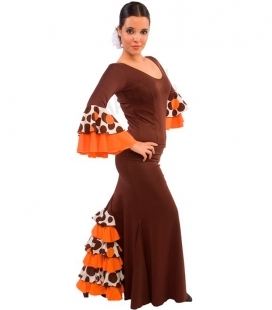 In this category, you will find all flamenco items at very low prices, with special offers in flamenco skirts for women which you can combine with our broad range of dance maillots. 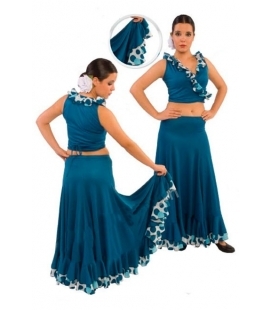 Choose among all these types of flamenco dancing skirts and select your size. 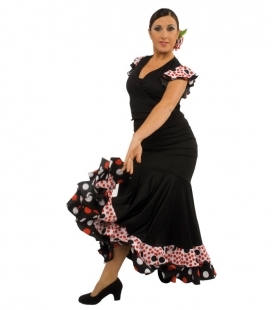 Also you will find all kind of spanish accessories like dance leotard and flamenco shoes, Castanets, or spanish dance fan.